“Many in the West today are still making excuses for the crimes of communism; even the European Union itself is reluctant to unequivocally condemn them”, Prime Minister Viktor Orbán has said. He was speaking at Budapest’s Rákoskeresztúr New Public Cemetery, at a ceremony organised on Saturday by the National Heritage Institute to mark the Memorial Day for the Victims of Communism. 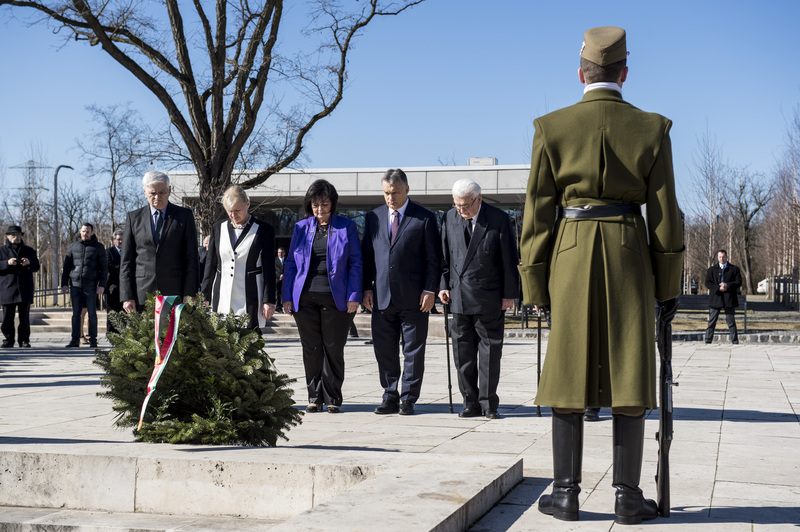 In his speech in the new visitors’ centre for Plot 297 at the public cemetery, Mr. Orbán said that today people no longer talk about the fact that communism – like national socialism – “emerged in the 20th century as an intellectual product of the West”, but that “in the end it was we Central Europeans who were forced to live under this originally Western idea”. Meanwhile, in the West, communism remained pure theory, “the tingling intellectual excitement experienced by meddlesome global utopians”, the Prime Minister said. “Many members of the Western intelligentsia, artists, writers and politicians – self-proclaimed ‘progressives’ – praised the genocidal communist dictatorship”, he said, adding that “It is difficult to believe that it was not obvious to them that those whom the Soviets regarded as class enemies – or as dangerous for any other reason – were being deported to slave labour camps”. The Prime Minister stated that even the EU is reluctant to unequivocally condemn the crimes of communism, which in the 21st century cannot be excused by left-wing party sympathy or affiliation. “This can all be traced back to the fact that, while an international military court passed judgement on the crimes of Nazism, after the collapse of communism representatives of the free world did not arrive at a similarly strict verdict in response to the crimes of the latter”, he said. Mr. Orbán said that it is no accident that Europe has a guilty conscience when it comes to the crimes of communism, but here in Central Europe, “even after a quarter of a century we still remember the nature of tyranny – the reminders of which are everywhere”. According to Mr. Orbán, communism is a past that lives with us, “It is just as much a part of us as an old scar that still sometimes aches, long after it has healed”. Plots 298, 300 and 301 bear the “code numbers of time capsules”, which contain the brutality of the communist dictatorship, he said. They are the final resting places of people whose very existence the communists wanted to erase, just as they sentenced to oblivion “those who were swallowed by the Gulag archipelago”. “Today in Hungary we live in freedom and safety; we have a bright future that we have chosen ourselves – unlike communism, in which we had only stifled energies and boarded-over skies”, Mr. Orbán said, adding that “Hungarians have understood that they can only be free if they never again surrender their sovereignty”. “We can only have a future if it is both free and Hungarian; only a country of free Hungarians has a future”, he said. “For this reason, we must always crush the vipers’ eggs of communism and fascism in good time”, he added. At the commemoration Péter Boross, former Prime Minister and President of the Public Foundation for Freedom Fighters, praised the fact that maintenance of the Memorial Park in the New Public Cemetery has become the National Heritage Institute’s task, because the various earlier private initiatives had made a unified approach impossible. “The memorial for our dead heroes has been given a home”, he said. The former prime minister also called for future generations to be made aware of what the freedom fighters had to live through. 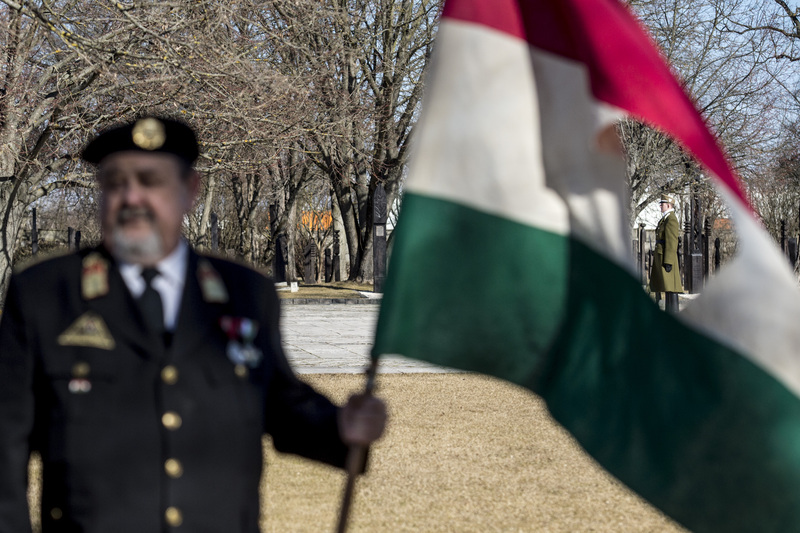 He pointed out that in the years after 1945 the good, noble and self-sacrificing elements of Hungary’s past were also ordered to be erased from public memory; this resulted in the neglect of many First World War memorials, for instance. Mr. Boross stressed that the Cabinet is placing great emphasis on renovating these, however. Director-General of the National Heritage Institute Katalin Radnainé Fogarasi also gave a speech, in which she said that plots 198, 300 and 301 of the New Public Cemetery are sites of national memory and national mourning: memorials to the 1956 Revolution and Freedom Fight, which are included among the country’s 17 national memorial sites. The Director-General stressed that “The visitors’ centre built at Plot 297 – which portrays the history of the neighbouring plots 298, 300 and 301 and those who are buried there – fully meets 21st-century requirements. It was sorely needed, because previously visitors to the cemetery were able to gain very little knowledge about this period in our history”. “The most important goal of the visitors’ centre is to clarify – in a satisfactory manner using suitable content – the complex message of the history of the plots and the people buried there,” she added. On 13 June 2000 the National Assembly declared 25 February to be National Memorial Day for the Victims of Communism.